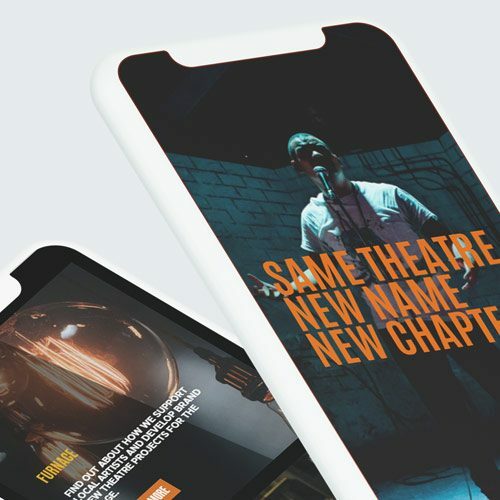 Three years on from our last web project with the internationally renowned Leeds theatre, we helped West Yorkshire Playhouse rebrand and relaunch for a new chapter. Leeds’ biggest theatre has been a mainstay of the city’s cultural landscape in some shape or form for almost 50 years. Its current location opened in 1990, under the name West Yorkshire Playhouse – and a £15 million redevelopment of the building in 2018 provided the perfect opportunity to return to its roots and rebrand under its original name of Leeds Playhouse. The same theatre, but a new name, and a new chapter – seems like a good time for a new website, too. 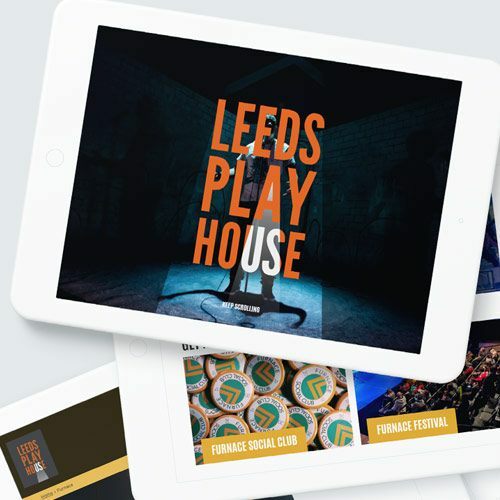 Leeds Playhouse had undergone a complete visual rebrand and needed a new site to match. As we’d built the last West Yorkshire Playhouse site in 2015, with complete knowledge of the inner workings of both the WordPress website build and Spektrix booking system, we were the clear choice to work on the new site. The Playhouse team essentially wanted a like-for-like rebuild – the same pages and content (and a handful of new ones) with a new skin and added animations to bring the site to life. However, after three years of learning what the Playhouse team needed from their site, and three years of developing and improving the way we deliver content management systems, we also had our own objectives for improving the experience of managing the site in the back end. And, of course, it all had to be delivered in time for the big rebrand launch, the date of which was unmovable – the press event had already been arranged. This was one of those big projects where everyone in the studio plays a part in getting things live on time. It’s the fastest we’ve ever turned around a site of this size – here’s how it happened. In the three years since we last launched a site for the Playhouse, the full scope of what they do behind the scenes has grown massively. We’ve guided the Playhouse team through a number of major content updates to their old website as they’ve expanded to include pages on their artist development and community engagement offerings. These aren’t standard products or services, either – they’re a huge range of wildly varied artistic projects, often with completely different content requirements on every page. This means that, as the site has grown, additional templates and features have been added to the back-end of the Playhouse to accommodate the massive variety of content. 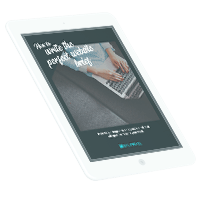 It did, admittedly, get a bit confusing – so a key part of the planning was working out how we could retain this flexibility, while making the physical act of building pages and populating content as simple as possible. A full audit identified every type of content that would be required on the site and boiled this down into around a dozen core page elements that could be mixed, matched, populated and re-arranged to create every possible layout the Playhouse team would need. The design, development and content teams then worked together to set out the technical specifications for each section, so the site could be designed and built concurrently – the building blocks of the site were constructed in the back end, with the design team supplying styling information once client approval was received. An external branding agency had worked with the Playhouse to develop the new brand, which directed much of the site’s appearance through the selection of a broad colour palette and the spotlight imagery of the logo. The design team instead focused on creating an interface that would be easy to use for the wide variety of users that make up the Playhouse’s visitors – whether that’s to their shows, or to their community outreach programmes. Taking the lead from the branding agency’s use of colour, everything is bright and bold, colour-coded to differentiate between different sections of the site, and set out in simple, easy to navigate blocks that look great in any combination, and at any resolution. Subtle animations make for a striking splash screen on the home page, and make internal pages a little bit more dynamic and engaging. Bold, clear and simple, with big feature images, the focus is placed firmly on the theatre and the amazing creative work they do. With a lot to pack in, and a relatively short development period before the launch, the dev team really knocked it out of the park on this one. In addition to building the animations, a context-rich megamenu, and the multiple elements in the CMS pagebuilder (such as tools for easily adding videos, relational page links for category listings and a huge range of styles), we also needed to integrate the new site with the Playhouse’s Spektrix booking system, importing their entire database of shows both past and present, and developing the ecommerce elements using the new designs. While all of these elements are standard for many of our builds, it’s rare that a site will use quite so many of them – there really is a lot going on under the hood with this one. With the press event booked for 11:30am on launch day, everything had to go off without a hitch. We couldn’t launch too early and leak the brand, or too late and let technical issues ruin the brand – it had to be down to the minute. As well as launching the site, we also assisted the Playhouse team by switching their social media accounts over to the new name and branding. Twitter was the priority, as we had to have it ready at 11:30 on the dot to capture the media buzz (the launch was covered by the BBC, The Guardian, and beyond – and got Twitter nods from Sir Ian McKellen), with Google Business, Facebook, YouTube and Wikipedia following in the seconds and minutes after. We’re happy to say it all went off without a hitch – and a great media buzz around the Playhouse. Congratulations all around! We’ve been working with a team we now have to get out of the habit of calling West Yorkshire Playhouse for years now, and it doesn’t look like that’s changing any time soon – we’ll be continuing to support them with monitoring and managing the site and booking system, making amendments and improvements wherever they’re needed. As always, the show must go on! I just want to say how pleased I am with the site… thanks so much for all of your work. It’s looking great!